Young Entrepreneurs Business Week relies on established business leaders to help build the next generation... At YEBW, guide high school students through hands-on curriculum and competitions—designed to build business competency and confidence. - Become a better leader and stronger communicator. - Enhance coaching and teambuilding abilities. - Improve project management and problem solving skills. - Rise to the challenge and business competition. - Participate in inspiring business seminars from local entrepreneurs and executives. - Form connections with other business and community leaders. At YEBW, help your team of 8-to-10 students conquer business objectives, while developing teamwork and leadership skills. 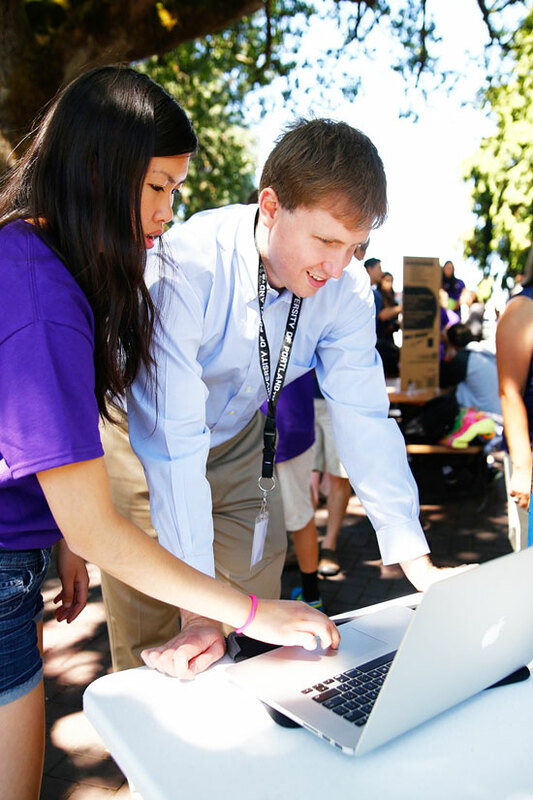 Guide and mentor teams through the week's activities, as students prepare for professional presentations, job interviews and more. The Company Advisor role is ideal for business leaders who want to mentor and motivate young people to grow personally and professionally. Advisors are typically mid-level or senior-level managers, small business owners and independent agents from various industries and career fields... Experience in management, operations, finance, marketing, human resources or project management is helpful, but not required. One week with YEBW will change your life... With our 7-day program and 1-day training, being an Advisor is an 8-day commitment. Advisors experience YEBW for one full week, from Saturday to Saturday. Serving as a YEBW Advisor is a rewarding, one-of-a-kind professional development opportunity... To ensure students have a positive experience, YEBW is selective; candidates must apply, interview and consent to a background check before their program week. Please contact Kyle Kavas to learn more about the Company Advisor opportunity.